PKMJ would like to record our deepest appreciation to H.E. 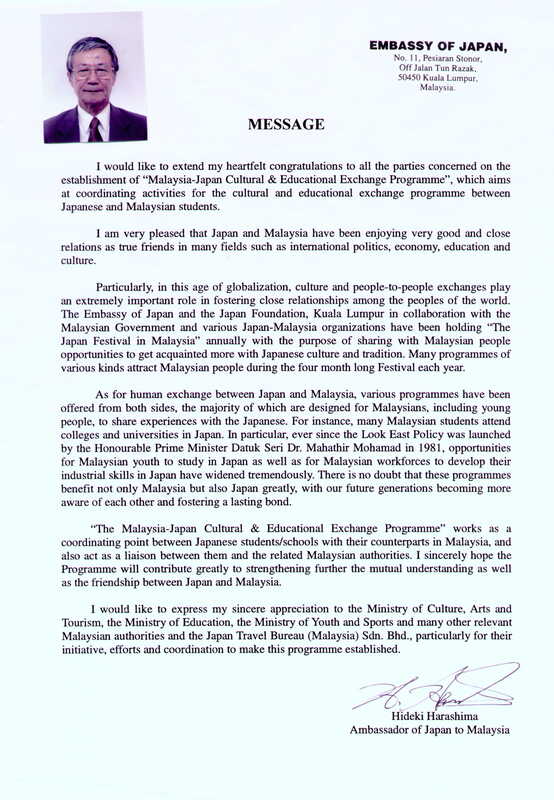 the Honorable Ambassador of Japan to Malaysia for his kind message, continuous support and guidance. We would also like to record our deepest appreciation to the Embassy of Japan and their related agencies thereto for their continuos support and cooperation.